One stamp for every £20.00 spent in-store. Half a stamp for £10. 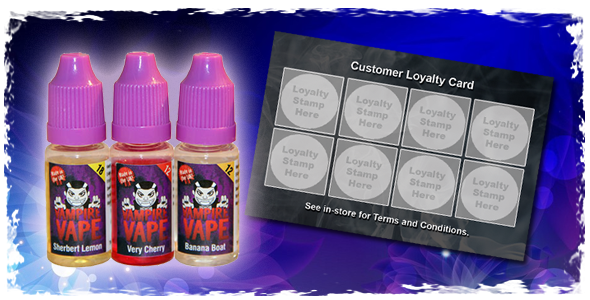 Collect 8 full stamps and receive £10 worth of e-liquid for free. A fully stamped loyalty card must be presented. 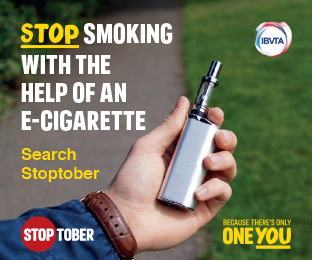 Only redeemable in-store at the Southampton Vaping Centre. Don’t forget to keep your Customer loyalty card in your wallet as stamps can only be applied at the point of sale. We reserved the right to withdraw the scheme at any time.